ITSM, which stands for IT service management, involves activities performed by an organization to implement and manage IT services to meet customers' requirements. ITSM is a term used to denote all those activities that any organization today would execute, after proper planning and designing, to control all the IT services that is offered to its customers. ITSM is stands for IT Service Management, refers to the total activities – directed by policies, organized and structured in processes and supporting procedures. Enterprises dependent upon IT technology should ensure every aspect associated with IT technology is accomplished via proper planning and strategizing. Only then will they be able to get the best out of it. There are specific tools in the market which can help enterprises accomplish the planning and strategizing of IT technology effectively in a seamless and hassle-free manner. These tools are usually known as ITSM tools. ITSM tools are tools that enterprises can use to successfully design,deliver,manage and improve the way Information Technology (IT) is implemented or used within their respective organizations. To be more precise, it is an approach – not just a separate network management or security management tool - which brings together the right processes, people, and technology, to help organizations meet their business goals easily and efficiently. ITSM Vs ITIL: What's the Difference? 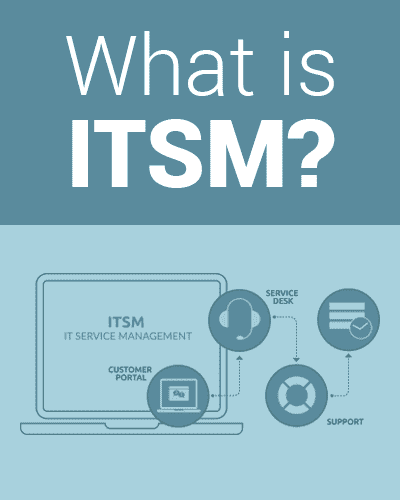 Though many people are confused by the terms ITSM and ITIL, the difference between the two is simple and clear. As mentioned already, ITSM tools focus only on planning and strategizing (and also the management) of IT technology in various enterprises. They don't deal with the implementation part. Instead,various ITSM frameworks are available in the market for this purpose. ITIL - which stands for Information Technology Infrastructure Library - is one such popular ITSM framework. What does RMM Software do? 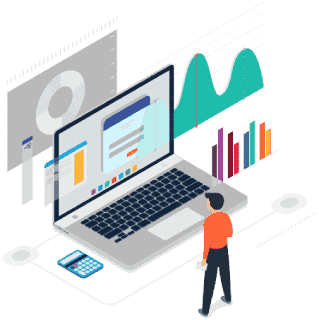 RMM stands for Remote Monitoring and Management, and refers to monitoring software that identifies and reports problems to service providers, allowing RMM experts to fix identified issues. It involves active maintenance, updating the OS, antivirus definitions, de-fragmenting hard disks and more. RMM software is a handy and an efficient tool for system administrators. Use of IT Service Management methodologies date back to a time when IT businesses implemented vast mainframe environments. The technology has since evolved and become an integral part of IT technology today. Some good examples of IT Service Management methods are configuration management, performance management, and availability management. Assisting IT Operations Team: These tools help enterprise IT operations teams function better by providing them vital IT Operations Analytics which help them make smarter business decisions. Ensuring Application Management: These tools also ensure, via proper planning and strategizing, high availability of critical business solutions. And also greatly help in optimizing the performance of these business solutions. Automating Workload: These tools bring more agility to the work environment, making them more flexible, and also minimize business risks. They can automate business processes, ensure high business service availability, accelerate service delivery and maximize asset efficiency. Endpoint Manager, which is available as a part of ITarian Products, helps enterprises successfully manage users as well as user devices by addressing four critical aspects of any IT business environment: security, mobile device management, monitoring (via remote management) and issue fixing (via patch management). Endpoint Manager extends its services to Android, iOS, and Windows Devices. Chat With Us or Contact Us. Did you find this article about ITSM helpful?